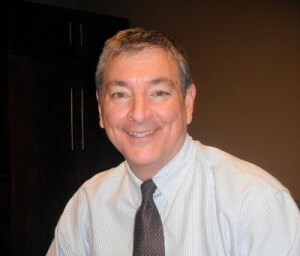 Attorney Daniel Ross is from St. Louis, Missouri and has been living in the Kansas City, Missouri area for over 30 years. He is licensed to practice Law in the State of Missouri, is admitted into the United States District Court for the Western District of Missouri and the United States District Court, District of Kansas. He obtained his undergraduate degree at The University of Missouri in Columbia and completed his Law Degree at the University of Missouri-Kansas City. Upon graduating Law School he began his law career at the Jackson County, Missouri Prosecuting Attorney’s Office as an Assistant Prosecuting Attorney and remained with that office for six years. After his employment with the Jackson County Prosecutor’s Office, he took a position at a well known civil trial defense firm in Kansas City, Missouri. After four years of practicing civil trial defense, Dan Ross entered private practice focusing on Criminal Defense. Today, Dan Ross continues to dedicate his law practice to defending people who are charged with crimes, primarily, serious felony offenses. Daniel Ross is highly experienced in defending individuals who are the subjects of complex prosecutions on both the State and Federal levels. He is well known in the Kansas City legal community and across the mid-west region for being a formidable advocate for his clients, winning extremely difficult cases and relentlessly pursuing favorable results for his clients. He is a member of the Missouri Bar Association and the Kansas City Metropolitan Bar Association. Please visit our Verdicts and Results page to see for yourself just a handful of recent favorable results the firm of Daniel Ross LLC has obtained for its clients.